Our Custom Inspection Reports help keep your business in compliance with your local AHJ ensuring you can can remain focused on what matters to you. it’s fast, easy and simple! 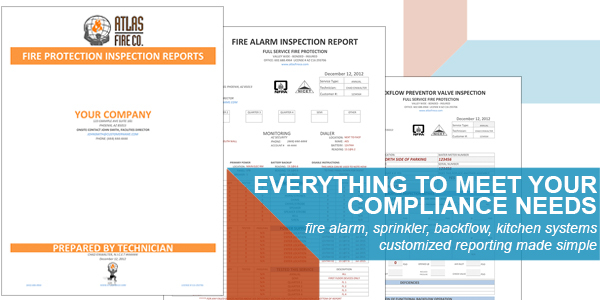 Atlas Fire Co. is a full service Fire Protection Company. We’re licensed and bonded so you can feel at ease knowing your building will always meet compliance. We’re 24/7 – give us a call!! !